If you are a Teleflora member, you are in luck! 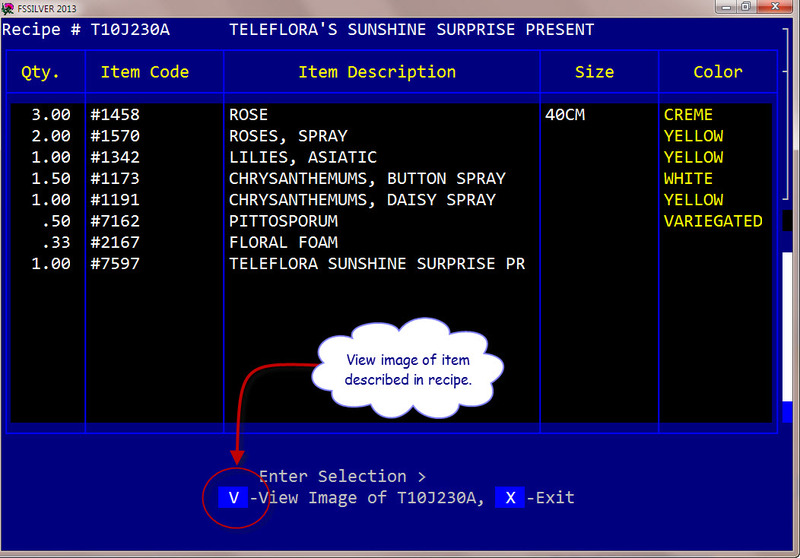 With the new length of the item codes field, it is now possible for flowerSoft users to enter the Teleflora item codes into an order. 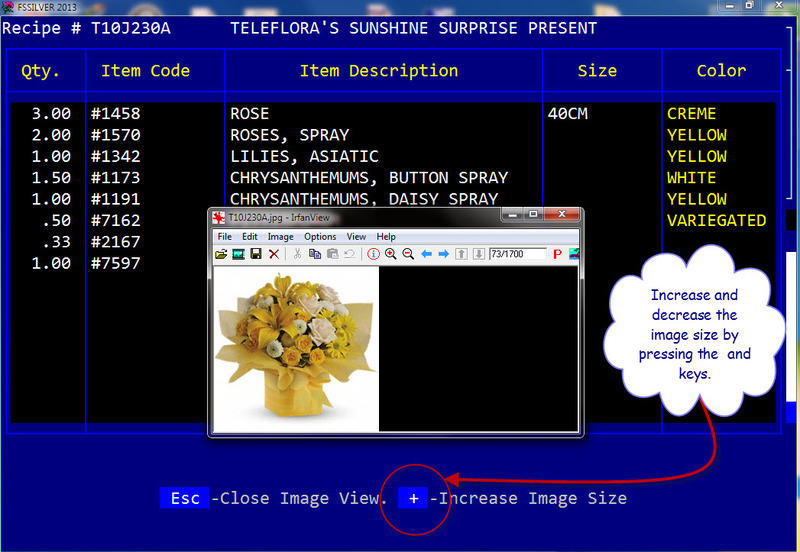 Additionally, flowerSoft now gives you the option of importing over 2000 Teleflora codes into your item codes database. Along with this, we can provide you with most if not all of the images for those items and some of the recipes too! 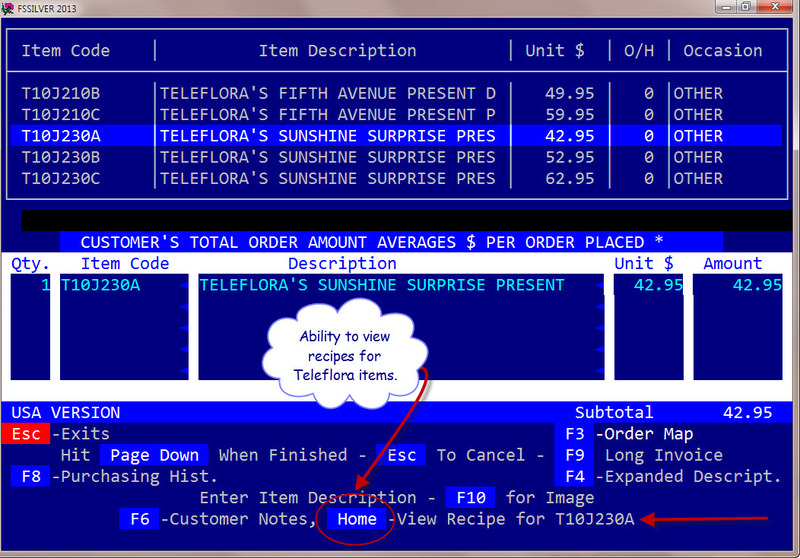 If a recipe for the item is available, flowerSoft will allow you to look at it by pressing the <Home> key. You can also drag the image to any location on the screen. So if the image is interfering with the viewing of the recipe items like the one shown above, you can drag it to a different location on the screen. and Other Improved Wedding Features. 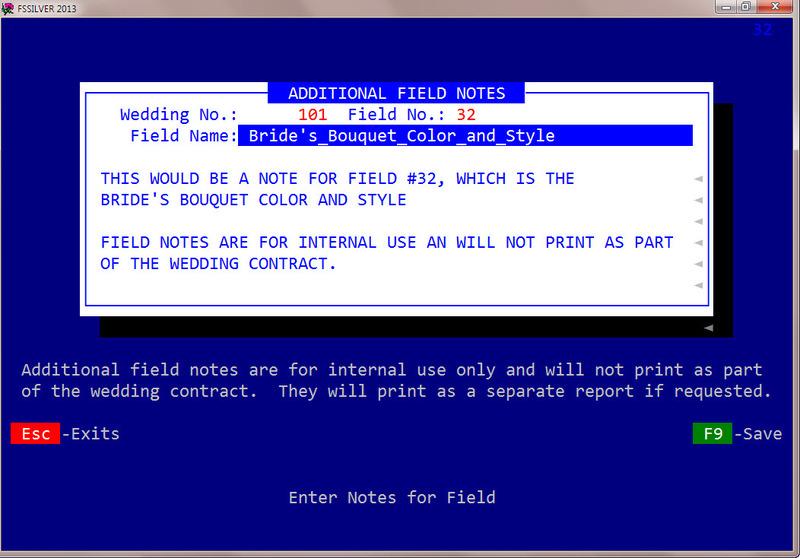 You can now add a note to each and every field of the wedding proposal. These are internal notes and they will not print as part of the wedding contract. 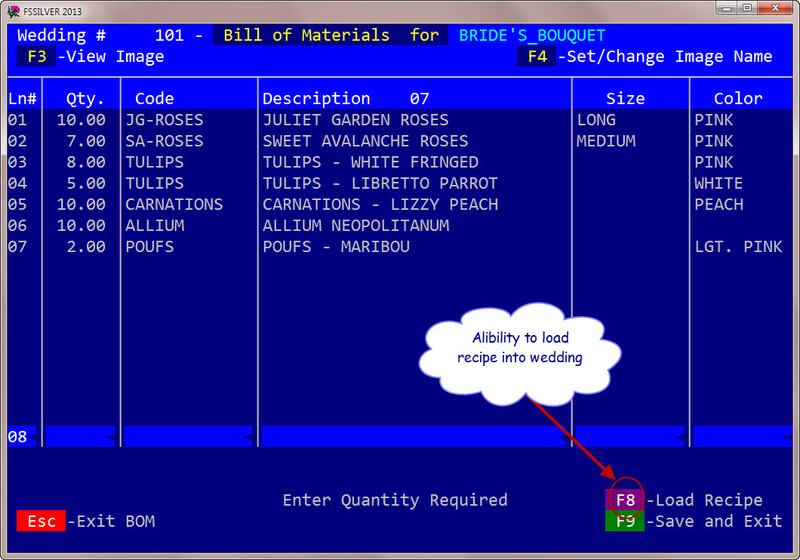 Pressing F8 from any of the wedding sections, allows you to enter the bill of materials for that section. In addition, you can also load an existing recipe into the bill of materials screen. If you do not have an existing recipe that you can use, flowerSoft will allow you to save the items you entered as a new recipe that can then be used in future wedding proposals. 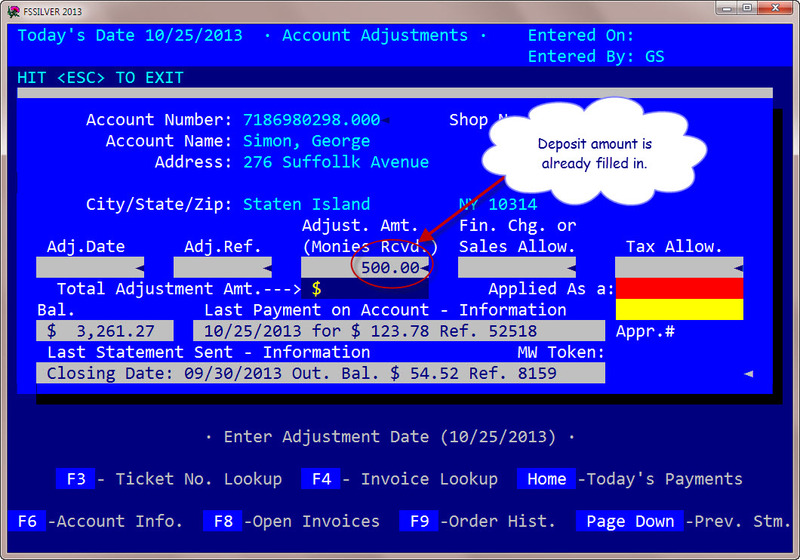 A new option to make Delivery, Setup and Breakdown fee tax exempt. 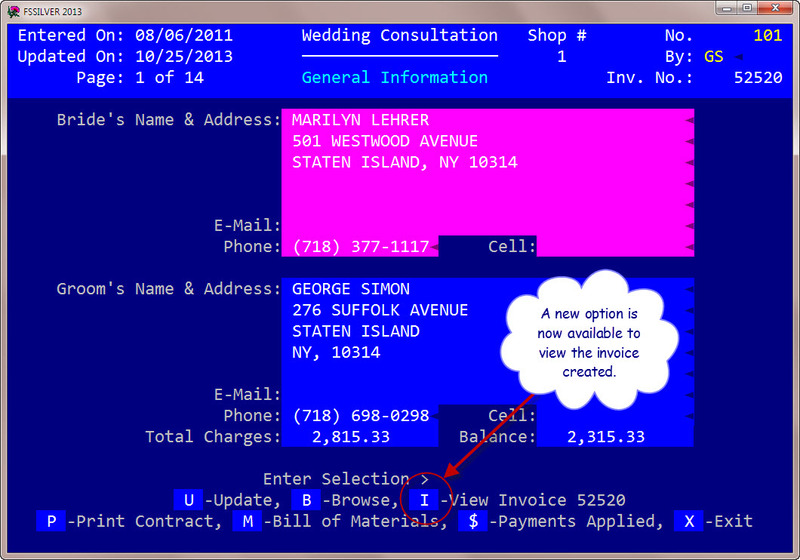 Pressing M from an existing wedding proposal will give you the option of printing one of 3 different Bill of Material reports. 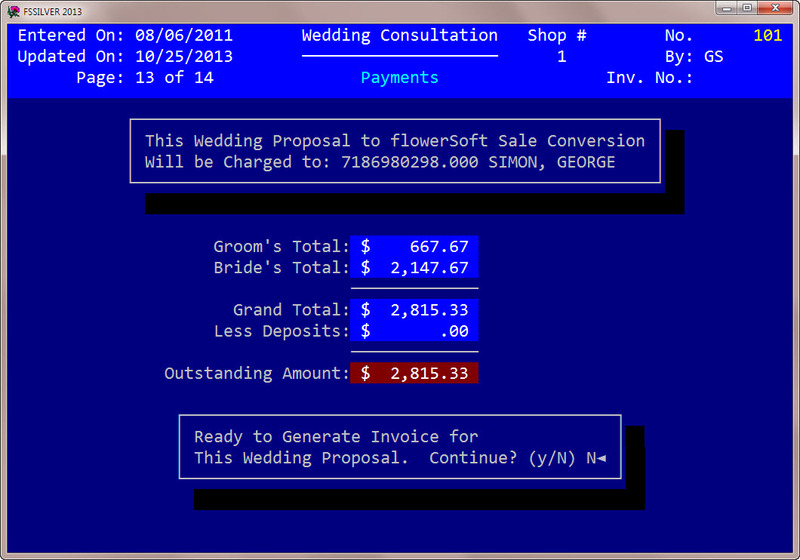 Hitting C will allow you to convert the wedding proposal to a flowerSoft ON ACCOUNT sale. Note that no deposits can be entered until the proposal is converted to a sale. 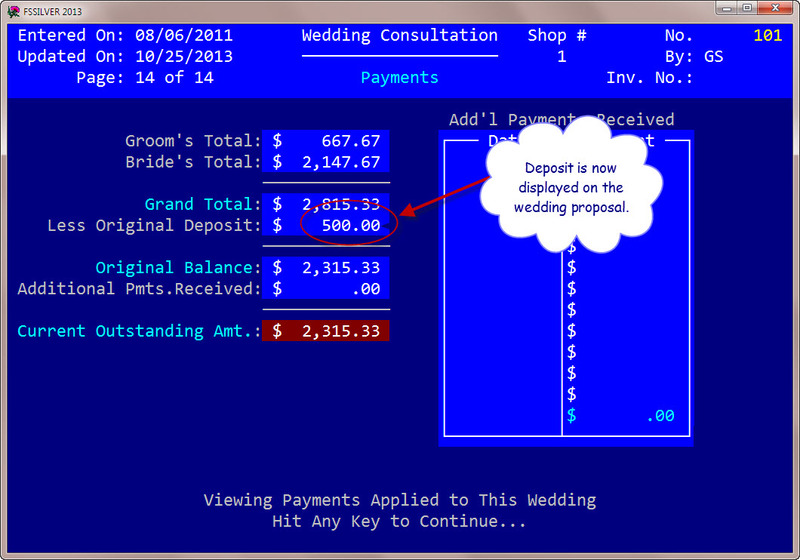 If no member of the wedding party has an existing house account with you, flowerSoft will take you to open one. You should then enter Y to enter the original deposit for the wedding. 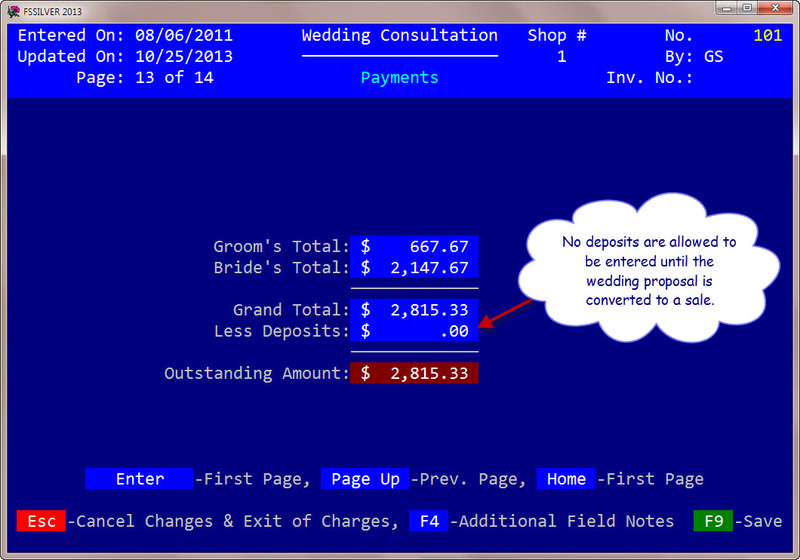 If the account has other open invoices, make sure you select the wedding invoice to apply the payment to. 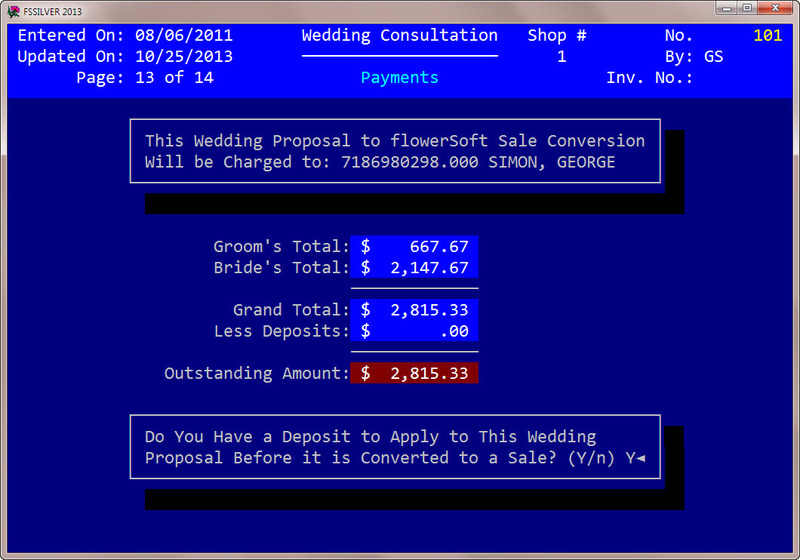 After the deposit is applied, the wedding proposal to flowerSoft order is complete. 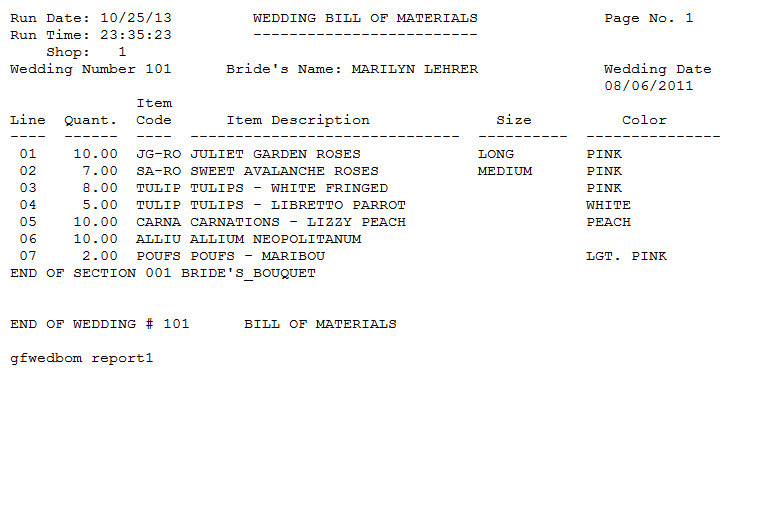 Below is what the wedding worksheet looks like. As always, comments and/or suggestions are welcomed. flowerSoft Silver 2014 now gives you the ability to enter item codes up to 12 characters long. This new item code length also gives you ability to scan items directly into the item code field. 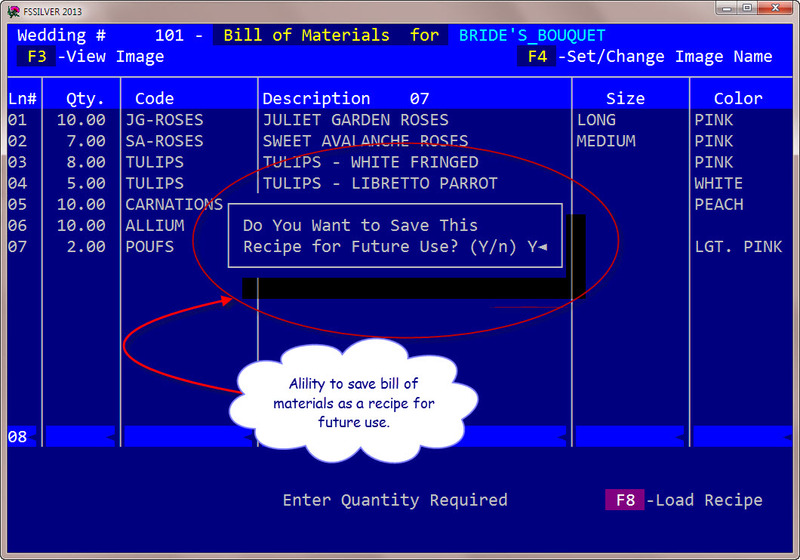 This is a nice improvement for those of you who scan bar coded items into flowerSoft, as you will now longer see the popup asking you if you are scanning the item. 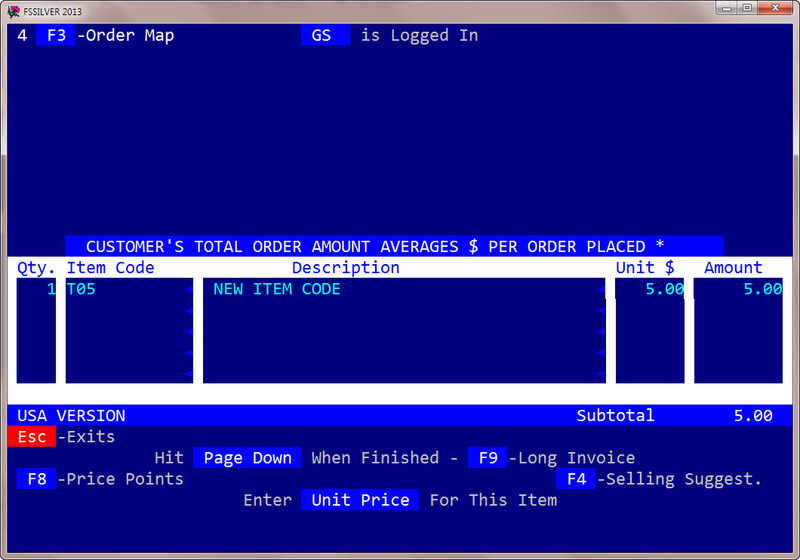 Additionally, flowerSoft Silver 2014 now lets you add new item codes on the fly, so instead of selecting the highlighted item based on your input up to the point you hit the <Enter> key, flowerSoft will now first ask you if the letters you typed before hitting the <Enter> key is a new item code. 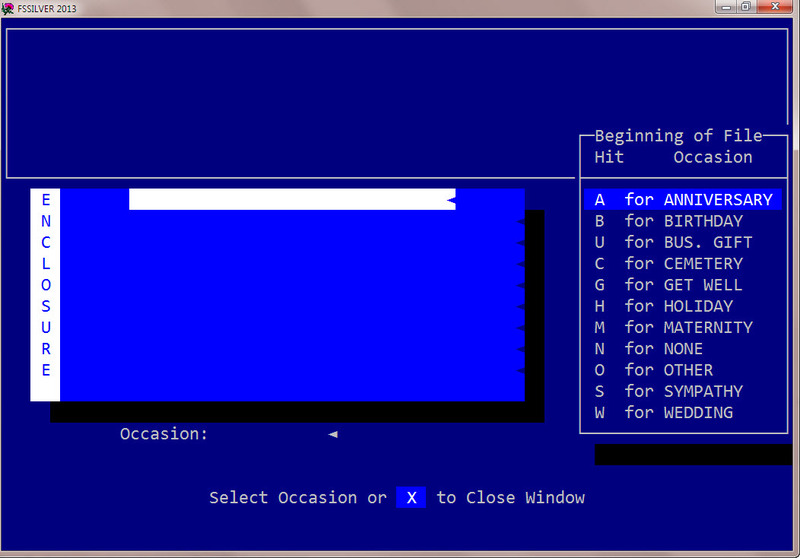 However, if you just made a mistake, you can hit “X” at the prompt and the letters you typed will be erased. See the screen shot below for a better understanding of this new concept. 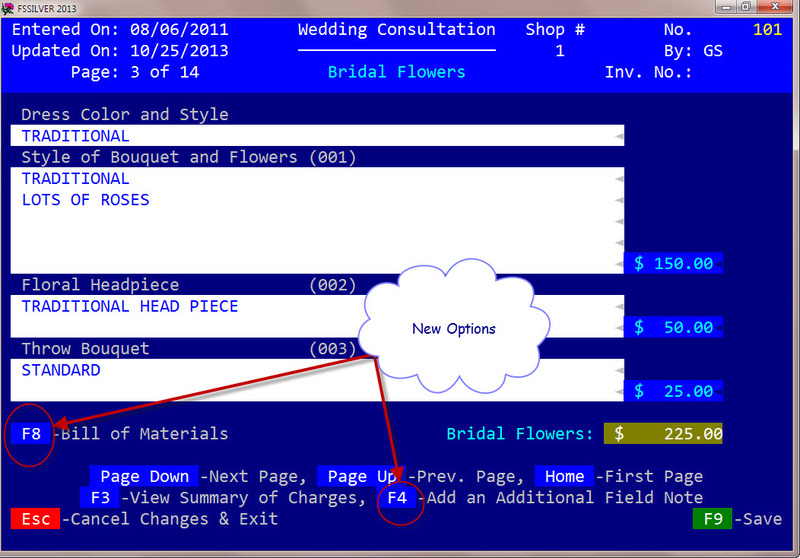 As you type, flowerSoft highlights the closest item code match to the letters you have typed. because there is no code T05 and flowerSoft wants to know if this is a new code. 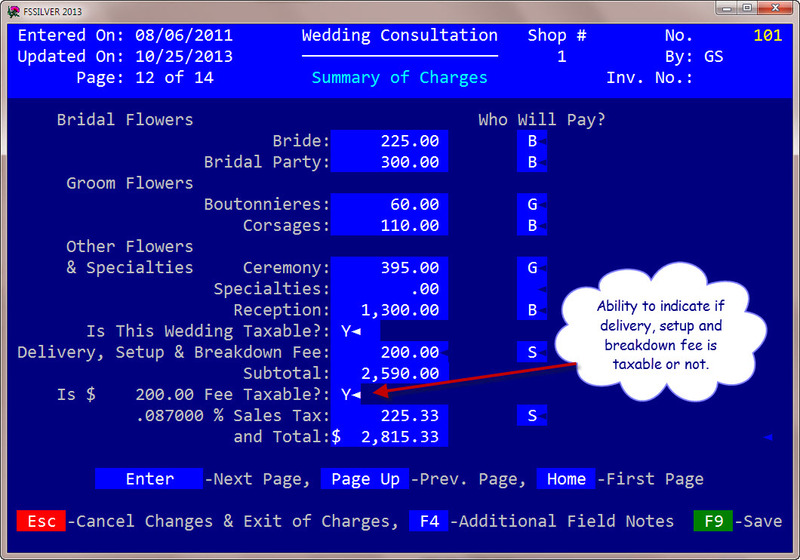 Notice the options flowerSoft gives you. 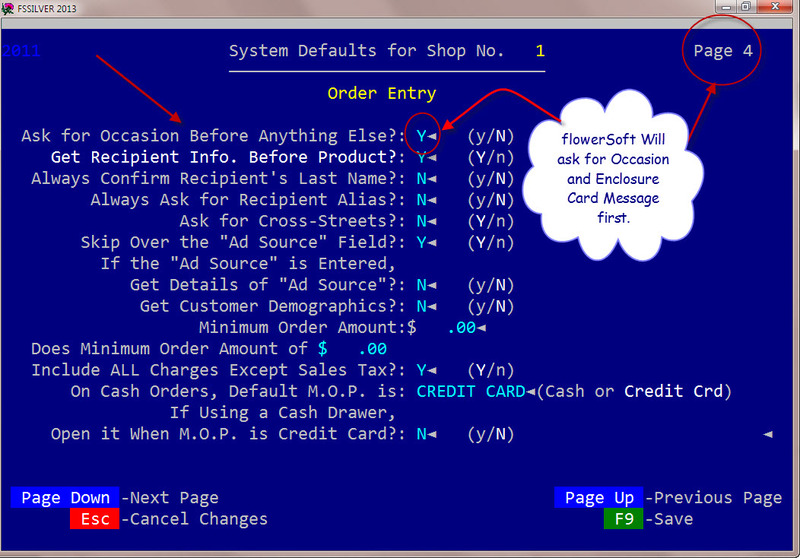 You can answer “Y” and flowerSoft will let you enter a new item code T05. 3. You can hit “X” and flowerSoft will erase the T05 from the item code and let you start over. Another option you have after you type a few letters on the item code field is to hit F6 and select items directly from the browse screen. F6 will switch control to the browse screen and then you can use the arrow keys to scroll up or down the list, highlight the item you want and hit the <Enter> key to select it. Hitting “X” while in the browse screen, will send control back to the item code field. to erase a line completely enter zero (0) in the quantity field. to jump from the description field of any line to the first quantity field, hit the <Home> key. 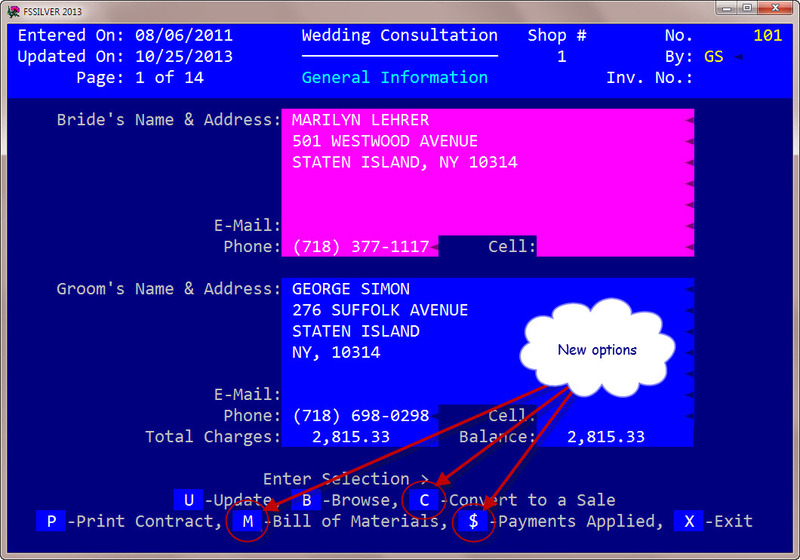 You will now have the option, through a setting in the Operating Defaults, of going to the order’s enclosure card right after you go through the “Source” field. This is even before you go into the “Sold To” information area. Proponents of this method, such as Team Floral, claim that by asking for the occasion and the card message first, you and your staff gain a better understanding of the customer’s mood and state of mind before you attempt to make any suggestions. They suggest asking pointed questions about the occasion for which the customer is ordering. Even if it is a funeral or other occasion where you already know the color or flower scheme, it allows you to begin thinking about what is appropriate for the situation and what you have available. For example, a birthday arrangement will most likely require brightly colored flowers and container. From here you can ask for the occasion and the enclosure card message before continuing the rest of the order-taking steps. Note that there is no option to go into a “long” card, as that is the option displayed by default. Therefore, if you use this method of order entry, you lose the ability to have more than 1 enclosure card if you use more than the first 4 lines. From this moment on, all features and improvements shown will be part of flowerSoft Silver 2014 and can only be obtained by upgrading to that version. 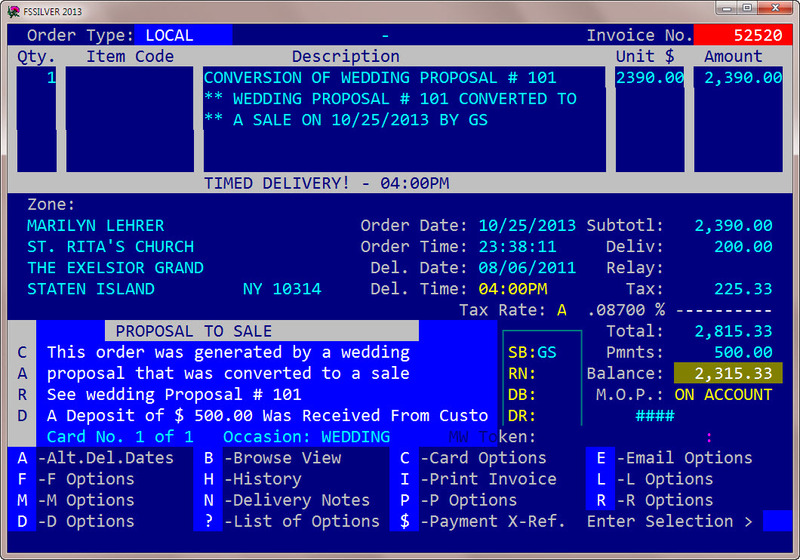 New features and improvements to version 2013 are no longer possible. That version is now closed. So, if you want some of the new features and improvements shown here, you will need to let us know that you want to upgrade to version 2014. 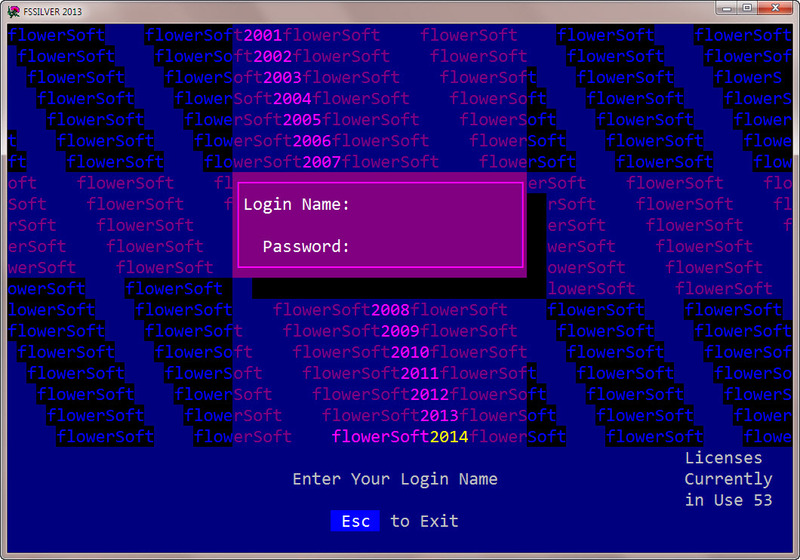 As usual, this version is free of charge to flowerSoft users in good standing. In other words, up-to-date with their support fees. We have successfully tested and deployed flowerSoft Silver 2014 at several shops with great success, so beta testers are no longer needed. 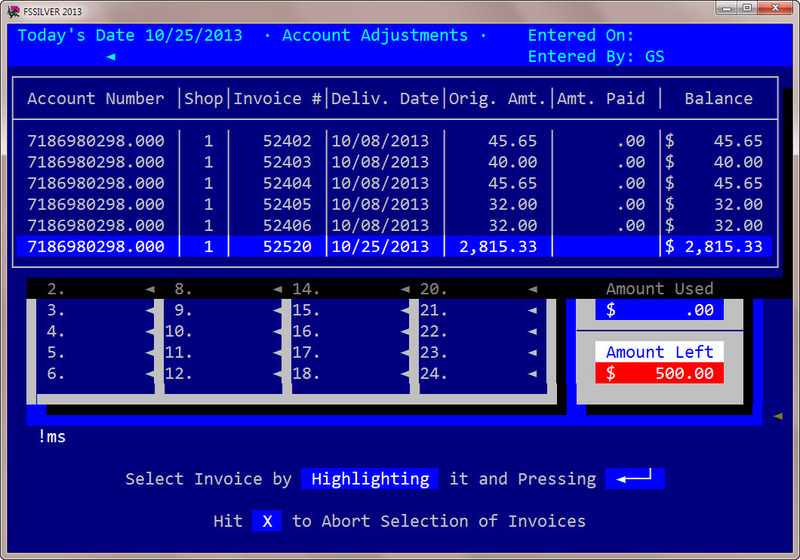 flowerSoft 2014 is just around the corner with some great new features and enhancements. I need a few of you adventurous types to jump right into it and start using it and help me work out any kinks that might have crept in. 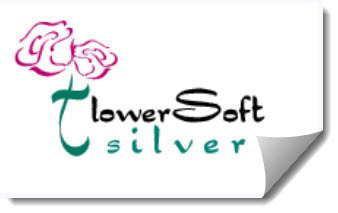 You must be already using flowerSoft Silver 2013-MW. You must be clearing your credit cards through Merchant Warehouse, as that is the only service we currently support. You must be willing to report all bugs found in writing via e-mail. You must be proficient in the use of flowerSoft. In other words, you should have at least a year experience. Increased size of item description code field. The item description code field will now be able to hold codes of to 12 characters. 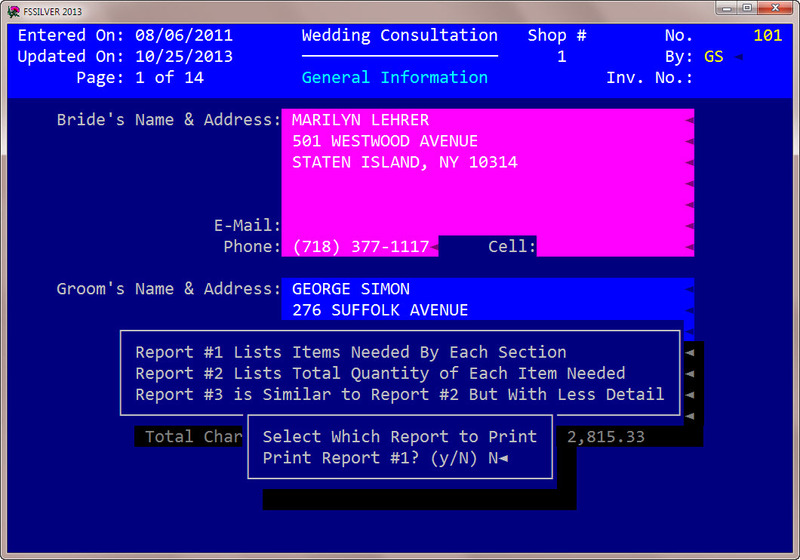 This will enable you to copy long item codes used by some of the wire services like Teleflora. 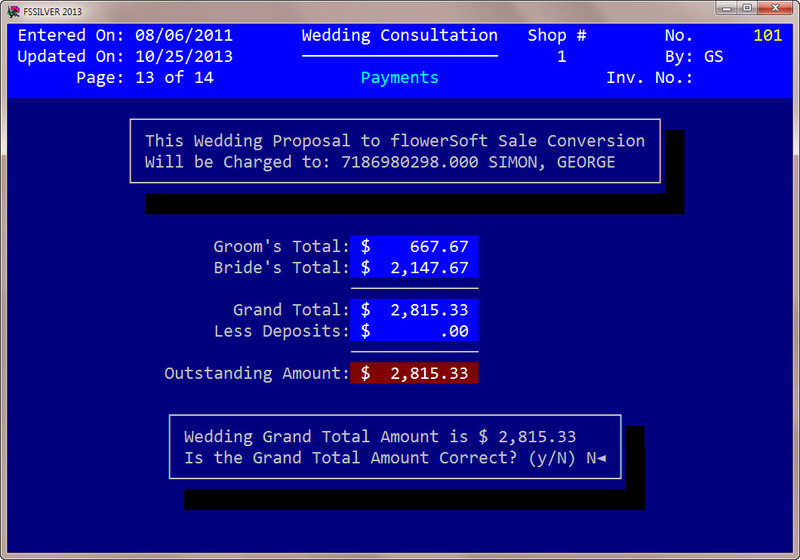 New improved Wedding program. There used to be 2 versions of the wedding program. Now there is only one. 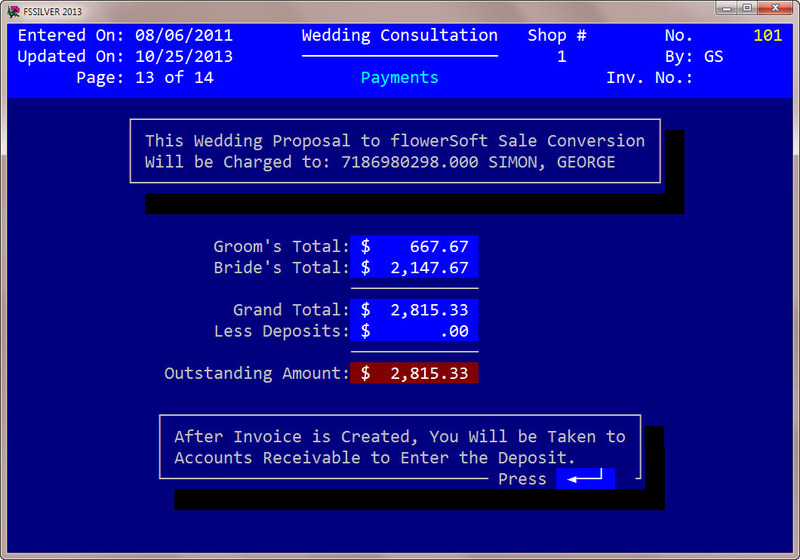 The new version allows you to keep track of the items needed for the wedding, allows the use of recipes, ability to display images of the items produced, ability to add notes on each and every field on the screen giving you almost unlimited room for remarks, gives you an easy way to convert a wedding proposal into a sale, plus several other enhancements. Better way to enter a Quick Cash & Carry sale, with the option to track the customer without having to open an account for them. 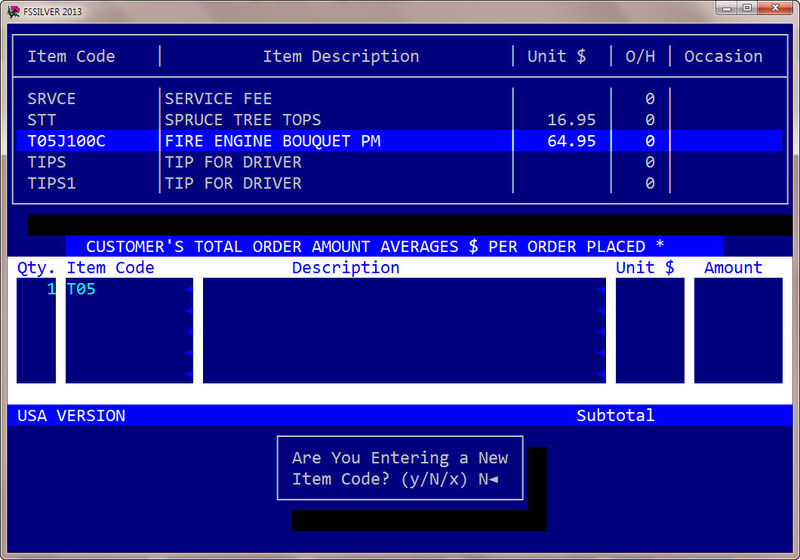 Ability to enter delivery orders into flowerSoft without the need to open an account for the customer. Option to enter enclosure card message before anything else, as recommended by Team Floral. If you are interested in being a beta tester, let me know and I’ll set you up. 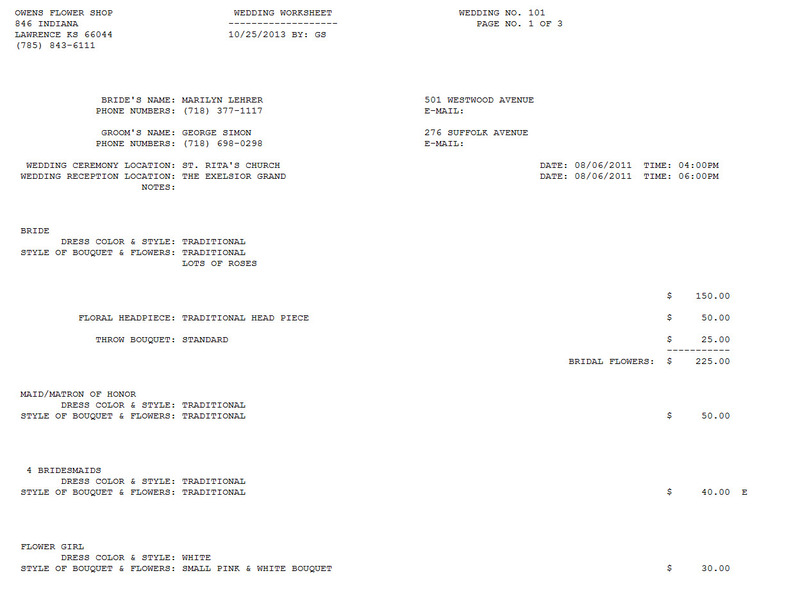 A while ago, I added a feature to the calculation of finance/re-billing charges that would le you print a report of the charges before it actually calculated them. This was done at the request of one flowerSoft customer that wanted to see which accounts would be imposed finance/re-billing charges in advance so that he would have some control over the operation. or, if they did select the option to run finance charges, they also selected to print the finance/re-billing charge report first, perhaps inadvertently, and never selected to run the finance charge option again. So, since I’m also guilty of not reading instructions completely, let me try to explain it here a little more clearly perhaps. Read what the prompt in blue letters says. It clearly states that if you select to print the finance charge report, finance charges will NOT be posted to the customer’s account. It also says that once you’ve verified that the finance charges are correct you MUST run this option again and select NOT to print the report. 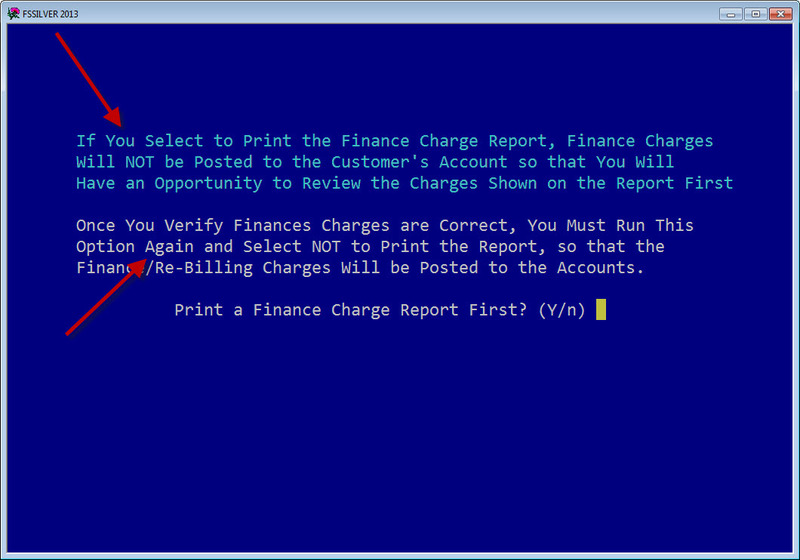 Also notice that the default answer to the “Print a Finance Charge Report First? (Y/n)” question is YES, indicated by the Y in CAPS. This means that if you do not specifically answer NO to the question, flowerSoft will print the finance charge report and WILL NOT post the charges to the customer accounts until you run this option again and select NOT to print the report. I hope this clarifies things a bit more. 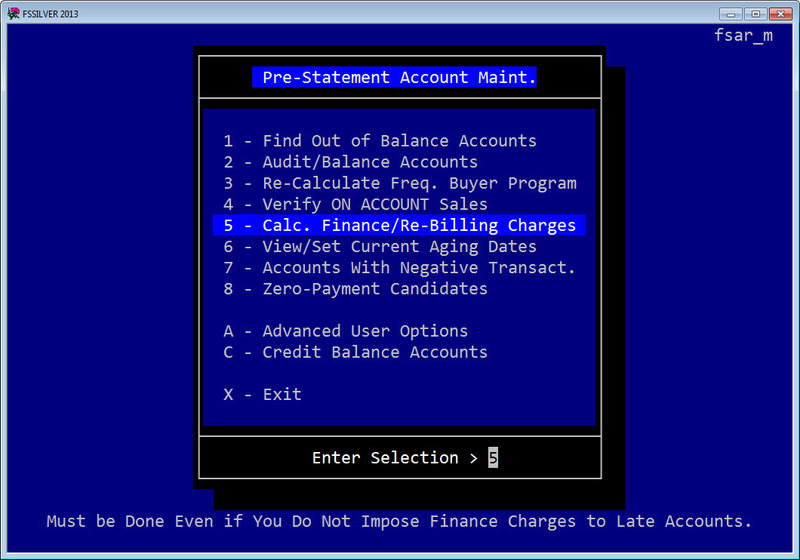 So please remember, if you want to see what the finance/re-billing charges are going to be before they are posted to the customer accounts, you have to run the report first but… if you do, once you are satisfied with the way the report looks, you must run the option again and this time select not to print the report. Here are some flowerSoft shortcuts you may not be aware of. If you are ever in need of erasing the entire data from a long field, such as in the card message fields, there is an easier way than spacing through the field or hitting the delete key until everything is gone. Try holding down the Ctrl key and tapping the End key. 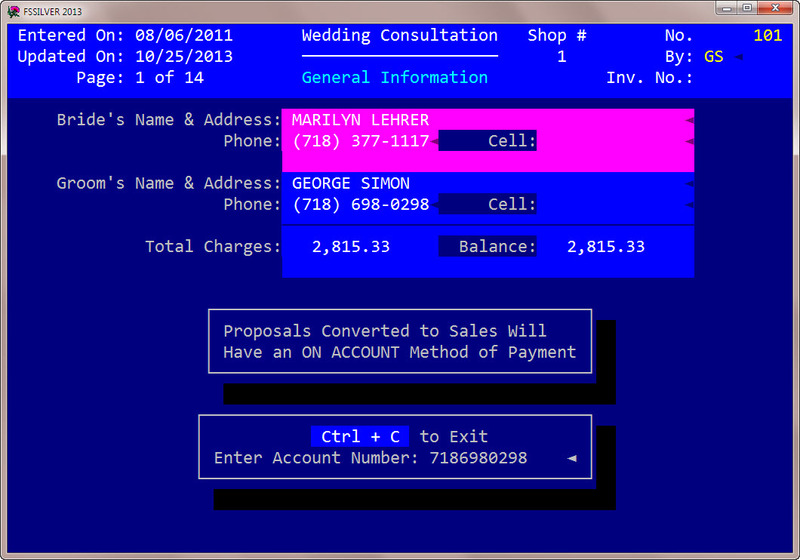 Normally we would show this as and it is called a combination keystroke. The Break key has not worked in flowerSoft for quite some time but I haven’t been able to catch all instances where flowerSoft uses the word Break. If you ever see on a flowerSoft screen the words “Break to Cancel” or “Break to Exit” try hitting <Ctrl + C> instead. This is also know as the DUP key In flowerSoft because it allows you to copy the contents of a previous field into the current one. For example, let’s say you are entering several orders for a customer and instead of entering them as a multiple order you are entering them individually. 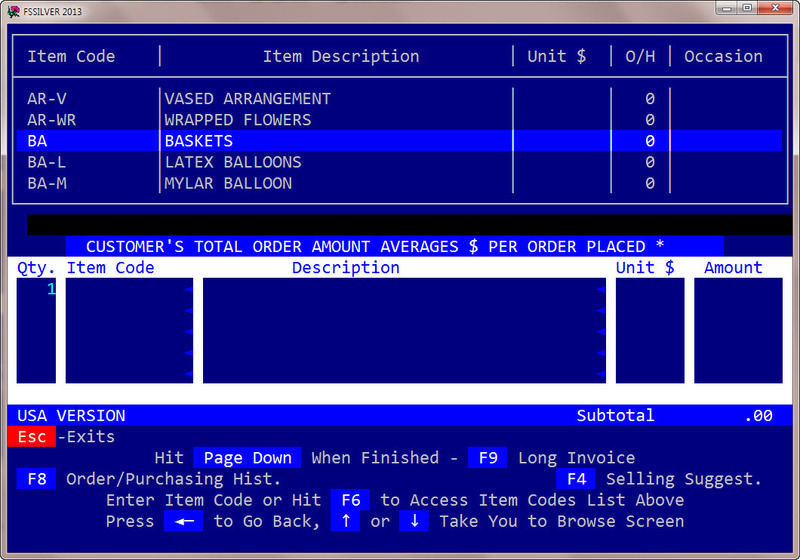 After you save the first order, flowerSoft will allow you to fill any field in the current order with the contents of the same field on the previous order. For example, you can duplicate the account number by pressing the F5 key instead of typing the number again. 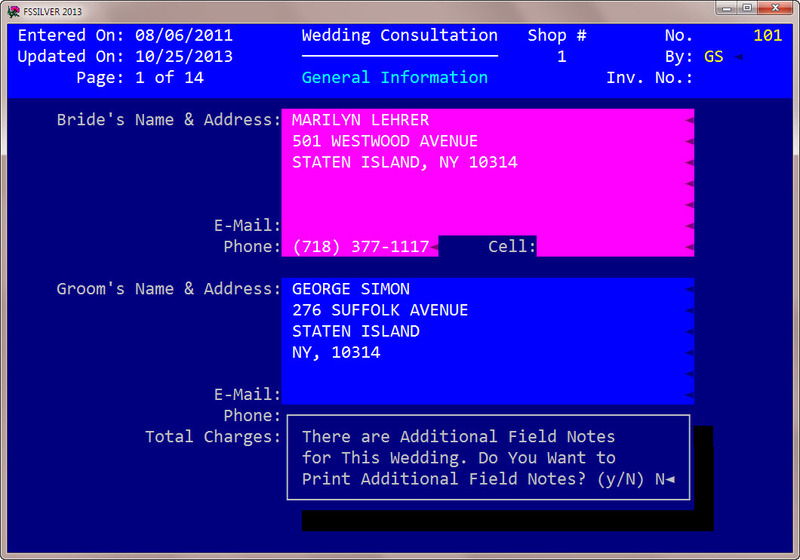 Or you can duplicate the enclosure card message lines that remain the same. flowerSoft normally is in what is called an overwrite mode. This means that if there are characters to the right of the cursor and you start typing, those characters will get overwritten. If you want to put flowerSoft in an inset mode instead, hit <Alt + F9> and then as you type the characters to the right of the cursor will move to the right, just like in Word. The problem with the insert mode is that fields have a fixed number of characters and if you do not pay attention to what you are doing, you may lose some of the characters towards the end of the field. SO be careful if you use this mode. During order entry, you can go to any point in the order by pressing the F3 key and then the number in front of the section you want to jump to.